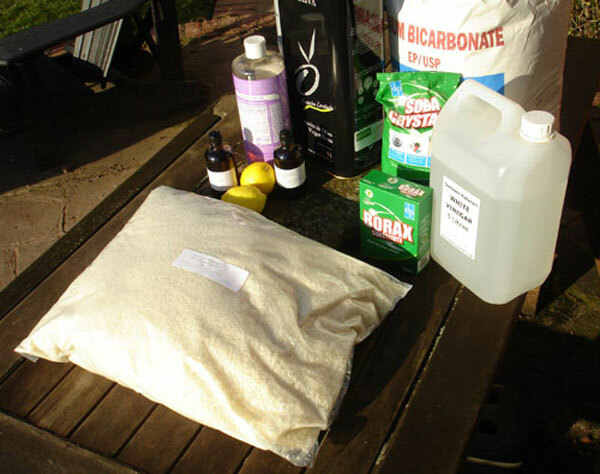 I first became interested in natural cleaning products when I moved to Hereford. My house dates back to the 16th century and I was advised to treat natural materials with natural products and not the chemicals sold in plastic bottles in supermarkets. My other concern was that I knew skin - both human and our pets skin, absorbs chemicals. We have skin patches with pharmaceutical products for humans and most pet owners will have used the spot formulas on their pets to treat fleas. So any nasty chemicals you use to wash and clean clothes, bedding, floors etc can be absorbed through yours and your pets skin. Toxic aerosols linger in the air and are inhaled. What's in the cupboard under your sink? I bet everyone has all of these type of products and more, lurking under the kitchen sink. They are heavily promoted, expensive and there seems to be a never ending choice of different makes. Incredibly, most of them are pretty useless and don't do a good job, yet will still buy them. Ladies, when was the last time your white socks came up white or your tea towels came out clean? Worst, read the back of the packaging and the list of chemical / toxic ingredients are enough to give you a heart attack? I remember my grannies house being spotless, yet she never used any of these things. We should get back to using natural products which are safer, they actually work, they are much cheaper and they are better for the environment. Here you have industrial quantities of pretty much everything you need to wash, clean and disinfect just about anything and everything in your house! 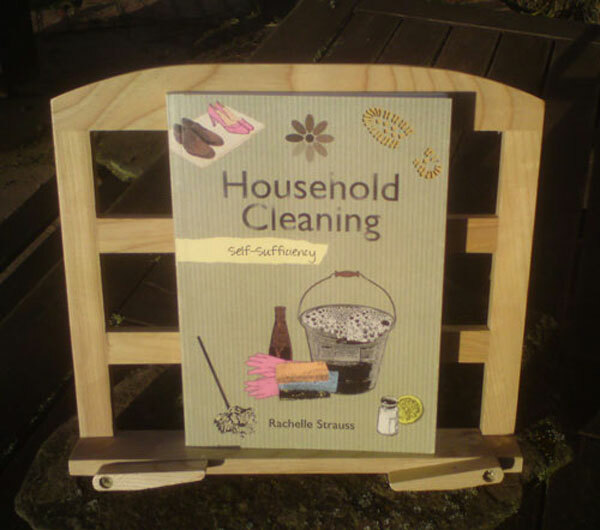 This little book Self-sufficiency Household Cleaning is superb and a bargain because it will help save you hundreds of pounds in the long run and provide a safer environment for you and your pets. Liquid Castile Soap - true castile soap is made from olive oil and is one of the purest soaps available. Pure Soap Flakes - Soap flakes are 100% vegetable based and are particularly good for special fabrics such as micro fibre and silk. Another popular use is for washing show horses so widely used in the equestrian world as the animal's coat is left shiny and clean, perfect for washing dogs too. Hydrogen peroxide 3% - strong oxidising properties so can be used for removing stains from white garments and is also disinfectant with some antibacterial properties. Can be used to remove mildew in the shower. 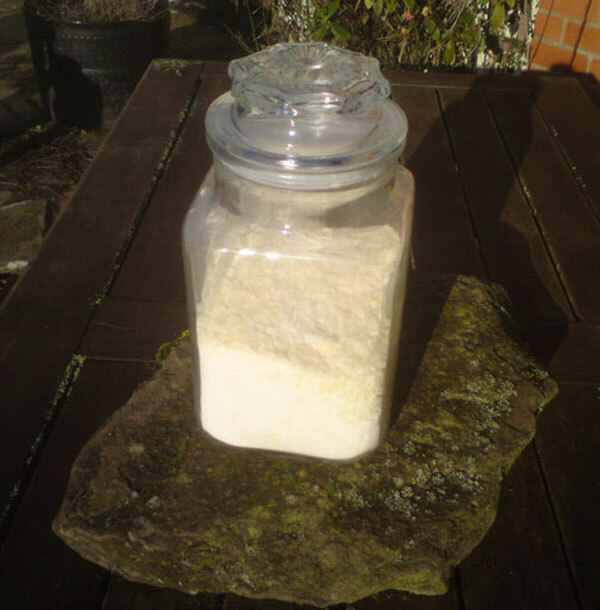 White Vinegar - a traditional cleaning product that has been used for centuries. Great multi-purpose cleaner which also has descaling properties. Essential Oils - powerful scents with unique qualities. Some are antibacterial, antifungal or antiseptic. Others are relaxing and invoke a sense of calm. Olive Oil - obtained from the fruits of the olive tree. Not only can you use it around the house, but you can eat it as well.Much healthier than many other oils. Lemons - the juice cuts through grease and is antibacterial so can be used for disinfecting work surfaces and chopping boards. Salt - cheap easy to find. Can be used for pulling stains from carpets and fabrics and also to make a wonderful all purpose scouring powder when combined with equal quantities of baking soda and borax. If you dip a cut lemon in salt, you get an instant safe and effective scouring pad! Also removes tea and coffee stains. 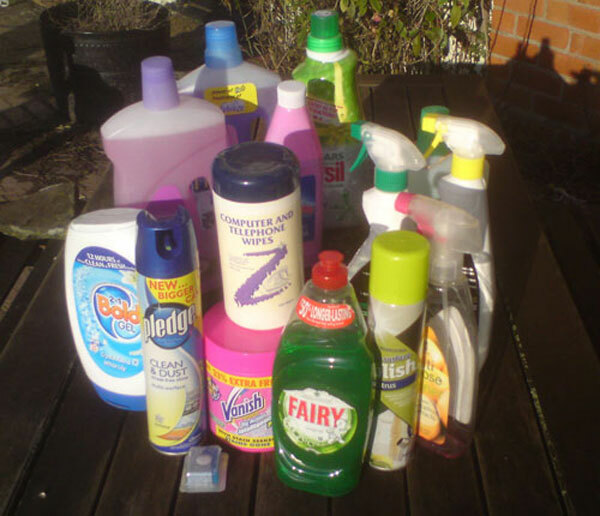 These are the kind of products used in the TV program 'How Clean Is Your House' by Kim and Aggie who take on some pretty challenging cleaning jobs!!! Commercial washing powders and liquids are rubbish. They claim to work at low temperatures, they don't, they fail to clean the washing properly, it comes out all hard and it eventually cloggs up the washing machine with residue. Never mind because the big corporations then sell you stain removers, fabric softeners and water softeners all of which have disgusting synthetic smells. This is all you need for washing all your clothes. It gets your washing white again, leaves it soft, keeps the washing machine clean and it saves you money. Use 1 tablespoon for a light load, for heavily soiled loads use 2 tbs. It works better if you dissolve in some hot water and then pour into the soap dispenser of your washing machine. Line dry your washing for wonderful freshness. Don't use tumble driers - they wreck your clothes and you need a small mortgage to run one. Magic fabric softener - Mix together 16 fl oz white vinegar with 9 oz bicarbonate of soda and 1 1/2 pints cold water. Combine slowly because it will fizz. Add 4 drops of your favourite essential oil. Pour into a storage bottle, cover and shake, realeasing any gas build up frequently. Use 2 fl oz poured into the fabric softener compartment of the washing machine. Just mix 50/50 solution of white vinegar and water in a spray bottle for perfect streak free clean windows. You can add 4 drops of your favourite essential oil if you wish. Better than anything you can buy off the shelf. Fill a spray bottle one third full of vinegar and top up until nearly full with cold water. Add 4 drops of your favourite essential oil such as lemon, orange or tea tree. This works on mirrors, tiles, worktops and appliances. No need to rinse. In a container with a lid, mix 3 oz baking soda with 4 fl oz liquid castile soap and 6 drops of your favourite essential oil. Shake or stir before use. This is great for cleaning sinks, baths, tiles and appliances and makes them shine without leaving a white residue. If the floor is very greasy, instead us a strong solution of soda crystals but remember to wear gloves. Caution - this is strong enough to remove and wax or floor sealant. Borax has both deodorising and disinfectant properties so if there are germs in your home or someone with a compromised immune system, borax is useful for disinfecting surfaces but caution is advised - wear rubber gloves when mixing. To make a simple disinfectant for any type of surface combine 4.5 ozs borax with 1 gallon of water. For a simple and convenient spray, mix 4 tablespoons white vinegar with 2 tablespoons of borax in an 18 fl oz spray bottle. Top up with hot water and agitate to dissolve the borax. This is ideal for door plates, toilet handles, taps etc. White vinegar makes a great cleaner for any type of wood including wooden floors. Spray on neat. Olive oil - neat, adds a beautiful shine and protects. Add a few drops with a soft cloth and buff. Olive oil and white vinegar wood food - combine 3 parts olive oil with one part white vinegar in a bottle and shake. You can add 10 drops of your favourite oil if you wish. Apply to furniture with a soft cloth, rub in then buff. Pour one cup of baking soda down the drain followed by 1/2 cup salt and finally 1 cup white vinegar. This will bubble and fizz and break down grease and fats whilst the salt acts as an abrasive. Leave it to work for about 15 mins then pour a kettle of boiling water down the drain. Bin the toxic chemicals, go natural. It's safer for you, your family and your pets. Please help us by making a donation so that we can help re home more unwanted German Shepherd Dogs. Donations can be sent to Jayne Shenstone, German Shepherd Dog Rescue, Little Vauld, Marden Hereford HR1 3HA. We also accept Paypal payments - just click on the Paypal button below. Thankyou.